Want to live a happy life? Sounds fair enough… after all, that’s what everyone is chasing after right? Problem is, which almost all of us realize, we’re chasing after the wrong things to make us happy. 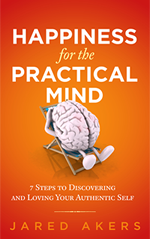 If you’re truly serious about finding happiness within, check out Happiness for The Practical Mind. More than likely you got here by something you entered into your search box about happiness or a happy life. I know how you feel. Prior to finding true inner-peace and happiness I would wake up each day, look around at my life and wonder, “is this as good as it gets?” It was depressing. People—self included—often feel we cannot live a happy life due to circumstances we think are out of our control. That’s almost always not true; of course we always think we’re the exception to the rule. That’s not to say that tragic events don’t happen to people and cause great sadness, but our ability to live a happy life is not contingent on outside sources; or at least doesn’t have to be. Nothing outside of ourselves can make us feel long-term inner-peace and happiness. Conversely, nothing outside of ourselves has the power to keep us chained to long-term unhappiness. 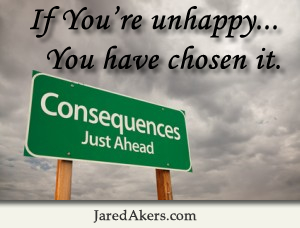 If you’re unhappy for extended periods of time it’s because you have chosen it. Of course there may be a chemical in-balance or mental disorder that causes depression or chronic unhappiness, so I’m not saying all those who are unhappy have simply chosen to be that way. However, I’m not a doctor and can only speak from personal experience within myself and others who I have witness find true happiness in their lives by looking inward. In all cases we all had something in common, we were not happy with our lives. So much so that at times, they didn’t seem worth living. We’re not happy with our lives because we’re not happy with ourselves or who we have become. There may be a constant nudging at our conscience telling us we’re no good or don’t deserve to be happy. Consequently, we continually sabotage ourselves and our lives. We push others away while coming up with excuses as to why we’re not worthy or have time for love in our lives. Mine often masqueraded as ambition. Or we settle for less than we deserve and convince ourselves that we’re happy. All the while wondering what went wrong as we cling to the idea and hope that someday we’ll just wake up and intuitively know how to be happy. Since we’re unhappy with ourselves we must look outside self for validation and happiness. This can be through relationships, careers, or material possessions. Most everyone can accept the idea that material things and external sources can only make us happy short-term at best. So what’s the alternative? The alternative is the answer to how to live a happy life. It’s self-seeking and finding your true authentic self. Sounds easy enough right? On the contrary, most of us—self included—may be afraid at what we’ll find inside ourselves. Let me provide a little background and see if you can relate. Growing up I had so much “potential” as everyone would say. Although when I hear people say that now I sort of cringe. It’s like saying you “could” be great, but you’re not. As if love and respect from others is conditional depending on how well we’re living up to our potential. This only validates the way we already feel on the inside. We know we’re not the person we’d like to be or know we could be; it sure doesn’t help hearing it from others. That’s why we may get defensive at times when we’re nagged about not living up to our potential. For me, there were a couple different ideal self images floating around inside my mind. One of those visions consisted of me living in a loft in downtown Kansas City, MO USA where I live, driving a Porsche and being liked and admired by everyone. I later realized that this vision of myself as being successful also was me being alone. 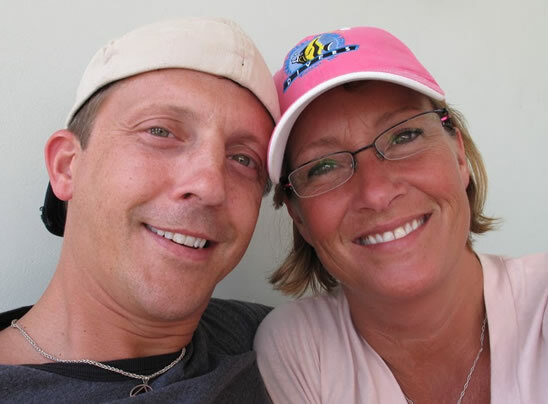 I just assumed that once I was rich and successful then I would find a perfect wife and start a family. I think for some reason I didn’t feel worthy of love unless I was successful. Or looking even deeper than that was the fear of not being loved or knowing how to love, therefore I would blame ambition and drive for not having time for relationships. Although it’s quite amusing looking back at it now, because even though I thought I was ambitious and driven, I still wasn’t really getting anywhere. Mostly I just liked to party and do as little as possible; but I sure worked hard at trying to look and act like I was on my way to greatness. Besides this version of myself that was successful and rich, there was also the vision of a man which was kind, caring, altruistic, a father, and great husband. I knew deep inside I had the ability to be inspiring and special; after all, my mother had always told me how great I was, and I believed her… for the most part. But deep inside there was always this scared little boy who was afraid of not being accepted or loved. I really had no idea who I was or how to live a happy life. To me, happiness was having a steady job and partying! Having a good time and happiness are not the same thing. For years I bounced around trying different jobs and relationships, trying to find out what made me happy. I eventually discovered through many painful lessons that nothing I achieve professionally or own materialistically would bring me true happiness. If you’re like me, I had no idea what that meant. I mean it sounds so simple, “just live right and find love, gratitude, and peace in your life… that is how to live a happy life.” It’s so frustrating though when you have no idea how to do that. From experience I know it can be done and there is practical steps you can take to get there. The process is simple, yet not easy and very uncomfortable at times. Unfortunately it’s way to in-depth to get into here. However, I do talk a lot about the process in my newsletter and have outlined a 7 step process to living a happy life in my new book Happiness for the Practical Mind: 7 Steps to Discovering and Loving Your Authentic Self. The process requires looking deep within oneself, seeking help from others, taking out the trash from your past, discovering your true self, and then living a life where our intentions, thoughts, and actions are in tune with each other. Having balance and harmony between our thoughts, words, and actions is invaluable in finding happiness. It may sound simple, but think about how often you portray a certain persona or facade to the world, all the while feeling completely different on the inside. I was king at this in what I refer to as my “five dollar life.” A period of my life when I would never put more than $5 to $10 worth of gas in my car at one time. I had the money, just not the time. I was too busy running around changing the world, getting ahead and striving for greatness in my career; or so I thought. The truth is that I was a mess, both emotionally and spiritually. But to the world I showed this guy who had his sh#$ together and was making things happen. In reality, I never slowed down enough for people to really get to know me as I was afraid they wouldn’t like the real me. How could they, I sure didn’t. That reminds me of something I learned while working in a restaurant years ago… that if you walk around with a ketchup bottle in your hand and look busy, people will leave you alone. Just because you’re busy, doesn’t mean you’re getting things done. After finally hitting a bottom emotionally, physically, and spiritually in March of 2006, I had to do something. That’s when I dedicated my life to finding true inner-peace and happiness. Out of the process of self-discovery and a lot of outside help, I learned to love and respect the real me. It was a simple process, but not easy. I had to be willing to abandon everything I thought I knew about life and my place in it. The result was finding true inner-peace and happiness. The most valuable part of learning to love, accept, and respect self, is you require less external sources for happiness. The result is a happiness that is not contingent on others or your circumstances. Sure there’s going to be times when you’re unhappy and a little down, but even in these times you can maintain a deep sense that everything is fundamentally OK. 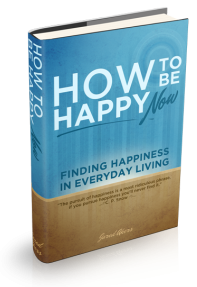 The entire process of how to live a happy life is discovering your true authentic self and living as closely to it as you can, forgiving self and others, and the realization that you are not defined by your past and deserve to be happy. A victim is a spectator in their own life and you do not have to be a victim, you can choose to be a survivor and become responsible for your own happiness. Here is something I wrote in my journal a few years ago. Yesterday, after my morning meditation, I wrote down a passage from “The Christmas Sweater” by Glenn Beck and shoved it into the back pocket of my jeans. I wrote it down to share with a group of people I would be speaking to that afternoon. The passage is dialog between little Eddie, the main character, and his mother. Eddie is upset about his father’s recent death and getting an itchy sweater for Christmas instead of the bike he wanted. I didn’t share this passage during my speech, I forgot. But after speaking, a women approached me with tears in her eyes. She told me about her son who had recently committed suicide. I told her I was sorry, gave her a hug and then remembered the sheet of paper in my back pocket. I pulled it out and handed it to her. To truly learn from a past experience you must accept it. However, just because you accept something doesn’t mean you have to like it. It’s important to realize the difference. Acceptance is much like forgiveness in that it’s giving up on the hope of a better past. At times I’m not the biggest fan of the phrase “everything happens for a reason.” I think a lot of people use it because they don’t understand or accept something that has happened in their lives or to someone they know or love. I don’t believe things happen for a reason necessarily, but that we have the power to learn and give meaning and reason to what has happened. Everything painful in life is an opportunity to grow. As long as we remain the victim we can blame something or someone else while avoiding responsibility and thus the real commitment to learn. On June 26th of 2010 my father was diagnosed with terminal lung cancer. On July 6th, ten days later, he passed away. It was a real shock and my family and I were just getting used to the fact that he was sick… then he passed away. I can tell you it wasn’t easy and was difficult to accept at first. But throughout the entire thing I knew deep down everything was doing to be OK. Sure it would be different without my dad there, but I would be OK. As part of my self-discovery process and commitment to living a happy life, over the last few years I learned a lot about my father. I learned a lot about him by learning a lot about myself. I realized I didn’t need the constant approval and deep emotional connection with my father that I thought I’d resented for so many years. That burden was all on me! . Over the last couple of years I learned to speak my fathers love language and understand him. As a result our relationship had grown a little deeper as it went along. I am sorry that we’ll not be able to continue learning about each other. However, I am grateful that I had the chance to get to know him so well over the last few years. None of that would have been possible if I had not sought to find happiness in my own life. No matter what happens to you in your life, you can and deserve to be happy. The key to this is getting OK with who you are as an individual, or discovering your authentic self and living up to it. If you really think about the unhappiness in your life, it stems from regret of the past or fear of the future. So the key to living a happy life then is learning how to stay in the moment. Think about it… look around you right now, I’ll bet in this very instant everything is fundamentally OK in your life. You’re not on fire or falling down a big hill. So the key to happiness is learning how to be content in the moment and comfortable with yourself and your circumstances right now in this instance! The reason you struggle with staying in the moment is because your head fills up with how inadequate you are, regrets, fears, etc. so you keep busy; running around and trying not to stop too long or you might realize how screwed your are! Learning to be OK with self takes work. You must get rid of all the trash that’s getting in the way of self love. Through practical action and steps it can be done and is guaranteed to lead you to living a happy life. The question is, do you really want to be happy? If you answer yes and mean it, then I suggest you sign up for my newsletter if you haven’t already. And thank you so much for taking the time to read all of this.